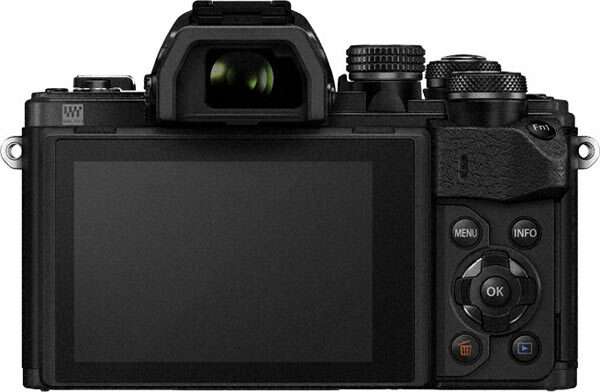 Introducing the second generation of entry-level OM-D cameras, the E-M10 Mark II. 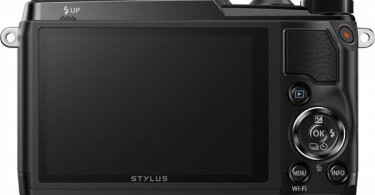 This new model features Olympus renowned 5-Axis In-Built Image Stabilisation (IBIS), a high-clarity 2.36 mega-dot OLED viewfinder, advanced picture sharing functionality, and a modern-classic design. 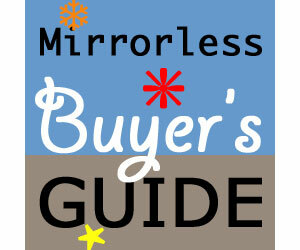 It is aimed at the first-time SLR owner, enthusiastic travellers, and families. The E-M10 Mark II’s 5-Axis IBIS lets you shoot with greater mobility and freedom than you can with other entry-to-intermediate class interchangeable lens cameras. Its consummate effectiveness means consistently sharp, naturally-lit pictures taken sans tripod. It provides convenient handheld shooting flexibility for photography novices with a wide-range of subject interests. From wide-angle landscapes, portraits, social snapshots, travel movies, macro close-ups to exciting telephoto action sports, Olympus’ advanced 5-Axis IS effectively counteracts camera shake to deliver brilliantly sharp handheld imaging results. It encourages compositional creativity as the superb anti-shake enables you to position or hold the camera much more freely than you can with other cameras. With the IS mechanism built into the camera body, every lens used with the new E-M10 Mark II automatically benefits from stabilisation, ensuring that your choice of lenses is truly fuss free. For eye-level framing, the E-M10 Mark II’s uses a superb 2.36M dot OLED based digital viewfinder that shows you what the camera will capture in real time, with a 100% view of the scene. 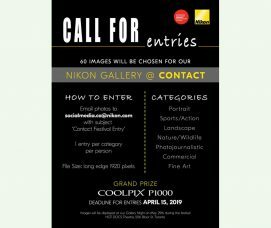 You are fully in control of the photographic process with live preview of exposure and camera settings; simplifying the learning of photographic concepts, and encouraging creative experimentation. 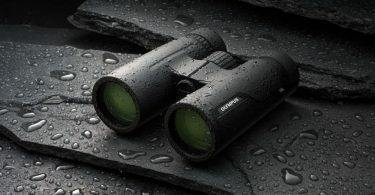 The finder’s advanced aspherical optics provide a distortion-free 1.23x magnification, with an eye-glass comfortable 19.2mm viewpoint. 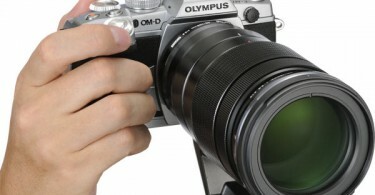 A special ‘simulated’ optical viewfinder (S-OVF) setting mimicks the visual experience of the traditional SLR camera. Using HDR technology to enhance the live view dynamic range to provide a realistic optical viewfinder experience, S-OVF live view improves viewing visibility in backlit photography, and re-introduces the element of creative unpredictability inherent to SLRs. For high quality Full HD movie recording, Olympus’ ‘OM-D Movie’ technology first introduced with the enthusiast E-M5 Mark II model is incorporated into this entry-level model. OM-D Movie combines high-performance mechanical and digital 5-Axis stabilisation to help you smoothly capture exceptional shake-free movies with the camera in hand. A special “CLIPS” recording mode lets you easily produce high quality short films using time-limited, pre-planned video segments that can be conveniently combined within the camera. The E-M10 Mark II is designed for to be socially well-connected with its advanced smartphone integration. With the Olympus’ OI. Share app (iOS & Android), you can wirelessly transfer pictures and videos from your camera to phone, and instantly post them to your favourite social groups. OI.Share provides the ability to attach picture geotags, as well as remotely control (with remote live view) the camera from a distance. The new OM-D E-M10 Mark II defines a new standard in entry-level premium interchangeable lens cameras. 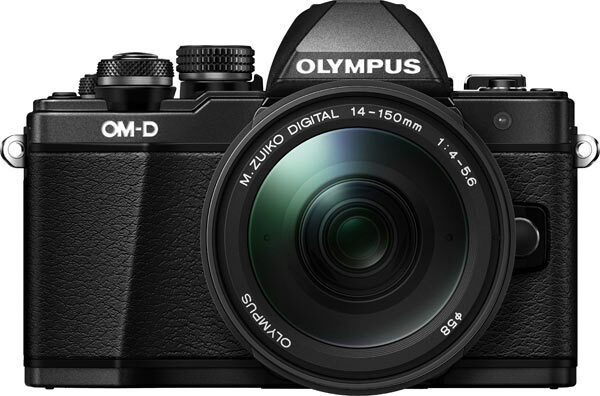 CENTER VALLEY, Pa., August 25, 2015 – Olympus introduces the Olympus OM-D E-M10 Mark II, a small, stylish, entry-level camera body with powerful in-body 5-axis image stabilization. 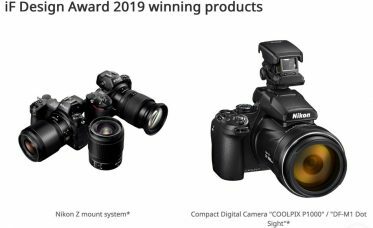 As the successor to the Olympus OM-D E-M10, the OM-D E-M10 Mark II combines the award-winning power of the OM-D family, first-class quality of 5-axis image stabilization and an all-new design with improved ergonomics. 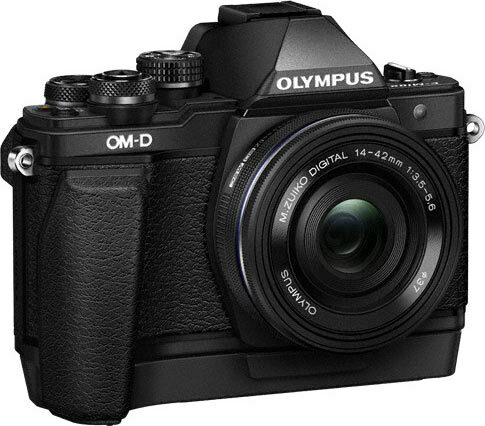 The Olympus OM-D series brings flawless, professional-quality images and video to photographers of all levels. Hailing from the cutting edge technology found in the award-winning Olympus OM-D E-M1 and OM-D E-M5 Mark II, the OM-D E-M10 Mark II’s 5-Axis Voice Coil Motor (VCM) Image Stabilization offers a hassle-free solution to image blur caused by camera shake. 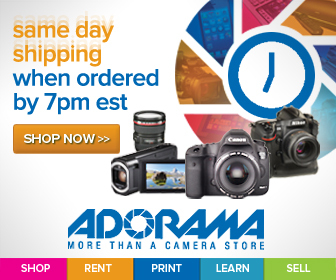 With up to four shutter speed steps, it allows for longer exposures and lower ISOs for crisp and clear handheld shots. The traditional 2-axis image stabilization in many DSLRs only compensates for angular shake, while the 5-axis image stabilization in the Olympus OM-D E-M10 Mark II also corrects for rolling blur that affects both low-light shooting and the horizontal and vertical shift blur that can mar macro shots. The combination of the OM-D E-M5 Mark II’s 16-Megapixel Live MOS sensor and TruePic VII image processor maximize the power of 5-axis Image Stabilization to capture sharp images and video without the need for a tripod. The ultra-slim, compact size of the Olympus OM-D E-M10 Mark II adds to the camera’s user-friendly design. 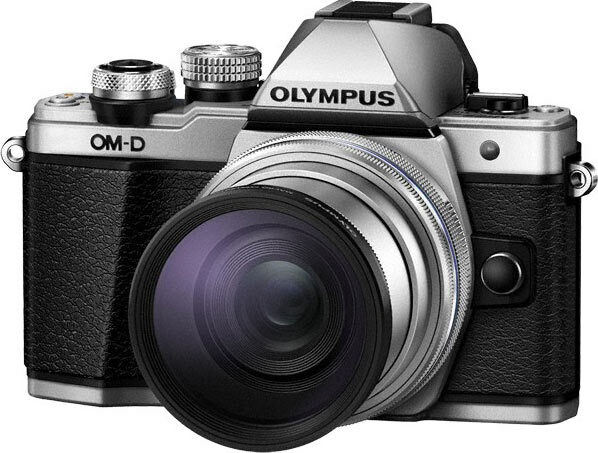 Not only does the body configuration incorporate the classic style found in Olympus OM-D cameras, but the elegantly machined metal dials, along with the leather textures of the grip, produce a highly sophisticated feel. The prominent thumb grip supports a stable, one-handed hold and reliable, one-handed shooting. Both the dial and button shape and layout have been adjusted for users to easily operate the camera while looking at their subject through the viewfinder. The Olympus OM-D E-M10 Mark II delivers an amazingly fast, class-leading shooting time courtesy of its Touch Autofocus(1). With a sequential shooting speed of 8.5 fps – more than twice as fast as comparable DSLRs – short shooting lag time, fast responsiveness and a quick start-up time, users can easily capture split-second movements. Armed with a built-in electronic viewfinder (EVF), the Olympus OM-D E-M10 Mark II makes it easier than ever to shoot in direct sunlight and other situations where it might be difficult to view the monitor. 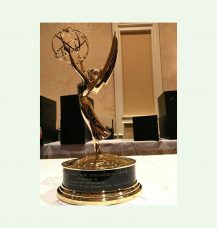 Thanks to 100 percent field of view, users are able to see more of the scene for precise composition. 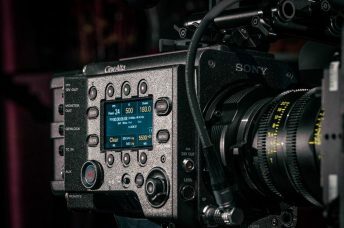 The EVF also boasts a viewfinder magnification rate of 1.23x (35mm equivalent: 0.62x) and uses a high-definition 2.36-million-dot OLED monitor for sharp, clear details. For further shooting accuracy, the new AF Targeting Pad allows the user to keep an eye on the viewfinder while tracing a thumb on the camera’s rear touchscreen to adjust focus point. The E-M10 Mark II also offers a solution for shooters who are more accustomed to optical viewfinders; the Simulated Optical Viewfinder (S-OVF) offers higher dynamic range, more in line with that visible to the naked eye. The OM-D E-M10 Mark II allows users to take advantage of 1080p Full HD Video, intuitive touch interface, variable frame rate and a new CLIPS feature which records short one-, two-, four- or eight-second clips. These clips can then be merged into a final video product in-camera, and then uploaded directly to your favorite social platform using the Olympus OI.Share app. The Olympus OM-D E-M10 Mark II comes packed with additional shooting modes, unleashing unlimited creativity. 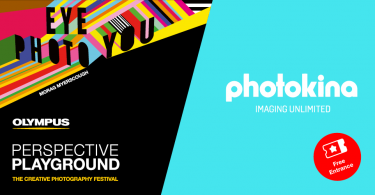 Art Filters: Select one of 14 available Art Filters that match your creative vision. Art Filters can be combined with Art Effects to produce truly inspiring images and video. 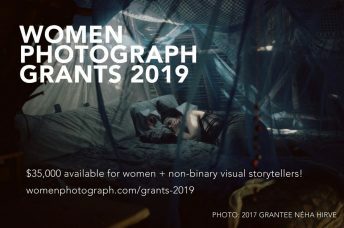 Photo Story: With five available patterns, Photo Story combines multiple photos into a single image to express the user’s story about a moment in time. 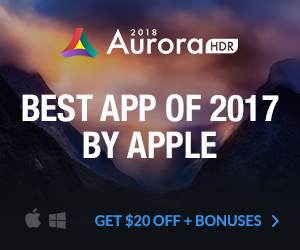 Live Composite: Select Live Composite mode to extract and composite the brightest areas from multiple, sequentially shot images to capture thrilling light displays. With the newest version of the OI.Share app for Android and Apple®, you can make adjustments to your settings and monitor the progress of the image as it develops right on your smartphone or tablet. Live Bulb and Live Time: Easily capture moving trails of light with the Live Bulb and Live Time modes for stunning light painting images. 4K Time-Lapse: Capture up to 999 images automatically at an interval of one image every five seconds. The camera will then combine the images into a stunning, high-resolution, 4K file, all in-camera, without the need for additional software. Focus Bracketing: With a touch of the shutter button, multiple shots are taken with slightly different focus depths. 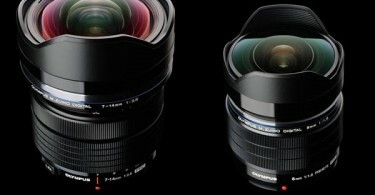 Useful for those who shoot macro photography, users can select the image with the focus where they prefer. By using image-editing software that offers an image stacking function, users can produce images with large depth of field even while using wider apertures. Keystone Compensation: Perspective distortion can be corrected in-camera, live, while shooting, with the ability to see your corrected adjustments as you shoot. 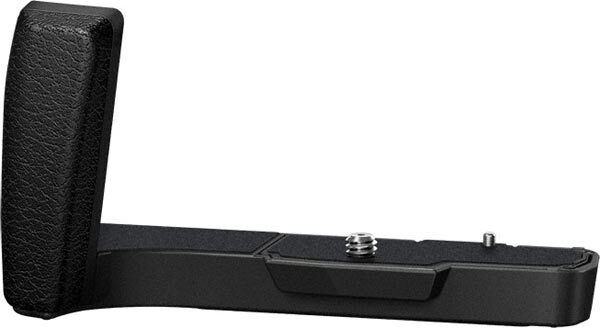 External Grip, ECG-3: A removable grip exclusively for use with the OM-D E-M10 Mark II that enhances the hold and premium feel of the camera. With a one-touch release lever on the bottom of the grip, users can smoothly exchange the battery and memory card without missing a beat. Genuine Leather Strap, CSS-S119L: For added luxury and protection, the genuine leather strap has been treated with water repellent to protect against water damage. (1)According to Olympus research, August 2015. 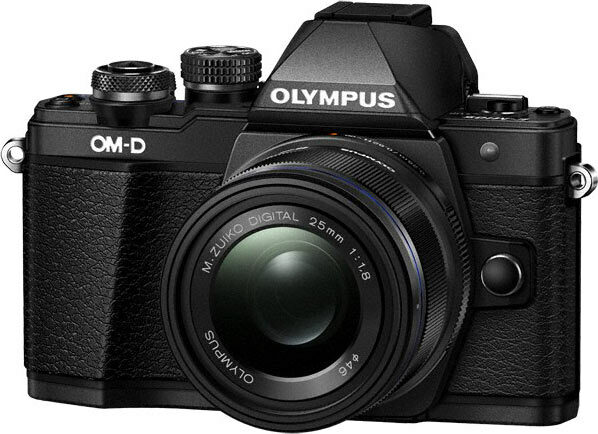 The Olympus OM-D E-M10 Mark II will be available beginning in early September 2015 in the following configurations. The External Grip, ECG-3 and Genuine Leather Strap, CSS-S119L, will be available in early September. 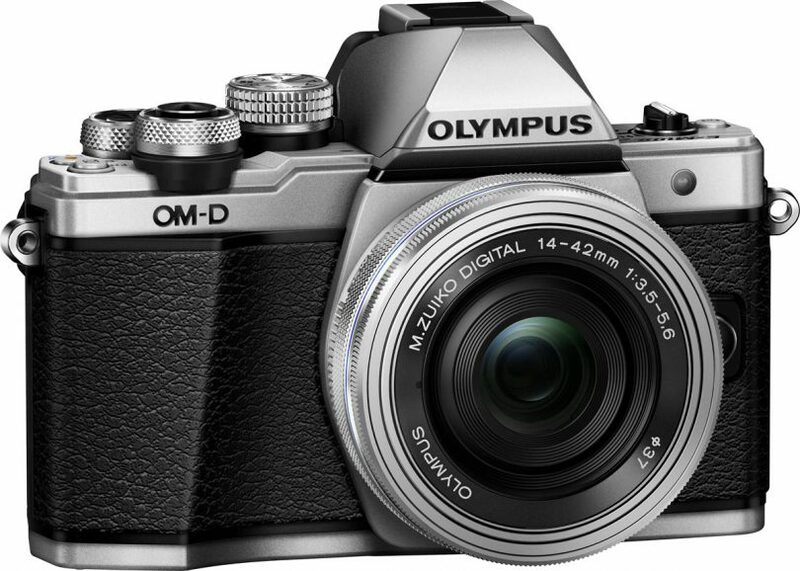 To find out more about the Olympus OM-D E-M10 Mark II, and for a complete list of specifications, visit the Olympus website at getolympus.com/us/en/digitalcameras/omd/e-m10-mark-ii.html. 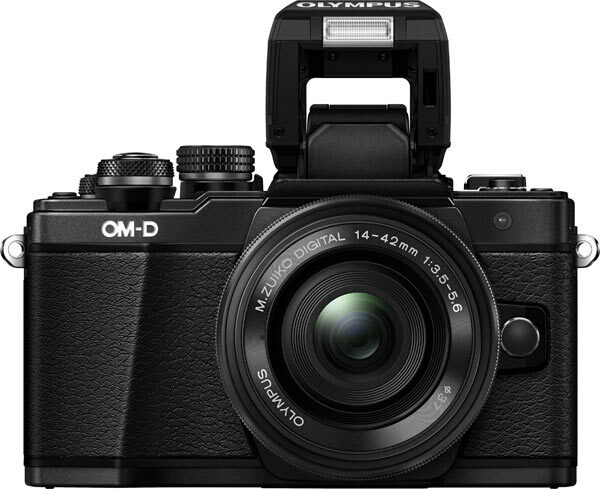 Journalists interested in more information, review units and high-resolution images of the Olympus OM-D E-M10 Mark II should contact Colin Brown, Mullen Lowe Public Relations, cbrown@mullen.com, 617-226-9749, or Jennifer Colucci, Olympus America Inc., 484-896-5719, jennifer.colucci@olympus.com or visit the Olympus website: http://asset.olympusamerica.com/login/. Faites des photos et vidéos nettes de la plus haute qualité avec un appareil sans miroir de haute performance et d’un chic design. 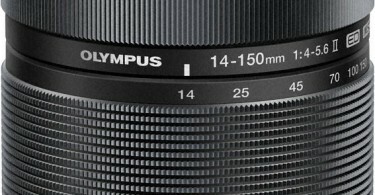 CENTER VALLEY, PA, 25 août 2015 — Olympus dévoile l’Olympus E-M10 Mark II de la gamme OM-D, un petit appareil stylisé d’entrée de gamme intégrant la puissante stabilisation sur 5 axes. 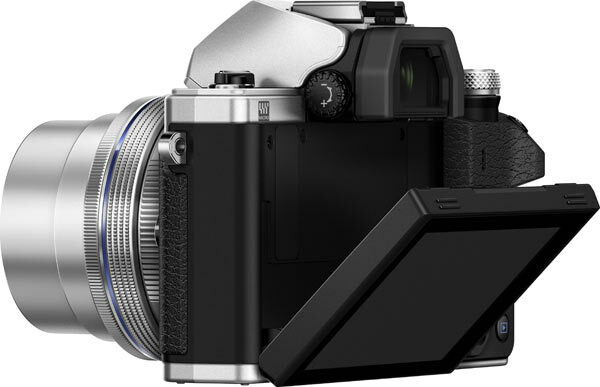 En tant que successeur de l’E-M10, l’Olympus E-M10 Mark II conserve toute la performance de la gamme primée OM-D à laquelle s’ajoute une stabilisation de première sur 5 axes et un tout nouveau design avec ergonomie améliorée. 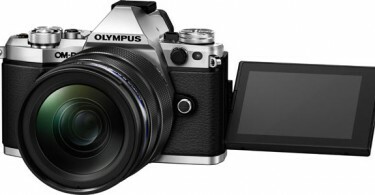 Plus que jamais, la famille OM-D d’Olympus rend les photos et vidéos de qualité professionnelle accessibles aux photographes de tous les niveaux. 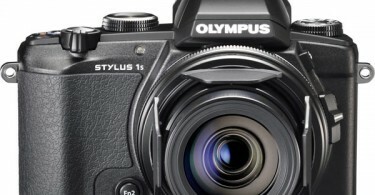 Reprenant la technologie de pointe que l’on retrouve dans les Olympus OM-D E-M1 et E-M5 Mark II, le stabilisateur sur 5 axes de l’E-M10 Mark II avec VCM (Voice Coil Motor) représente la solution de rêve aux problèmes de flou d’image causés par le bougé de l’appareil. Permettant de gagner jusqu’à 4 stops, il permet des expositions plus longues ou à sensibilité moins élevée pour des photos claires et nettes à main levée. La stabilisation traditionnelle sur 2 axes des appareils reflex ne compense que le bougé angulaire tandis que le stabilisateur 5 axes intégré dans l’Olympus OM-D E-M10 Mark II corrige aussi le mouvement en lacet pour de meilleures scènes de nuit par exemple et le mouvement horizontal ou vertical qui peut gâcher les photos macro. 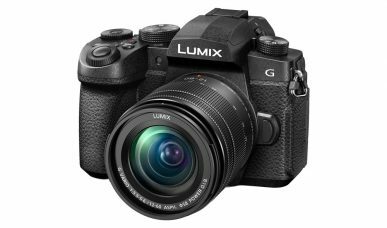 La combinaison Capteur Live MOS de 16 Mégapixels et Processeur TruePic VII de l’OM-D E-M5 Mark II maximise la puissance du stabilisateur 5 axes pour des images et clips vidéo nets sans besoin de trépied. 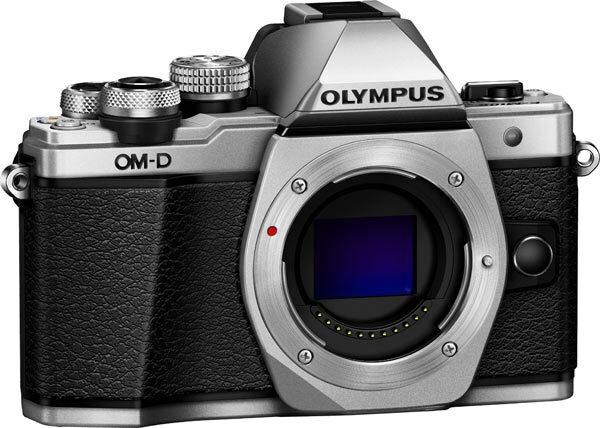 Le format compact ultra-mince de l’Olympus OM-D E-M10 Mark II ajoute au plaisir de photographier avec lui. 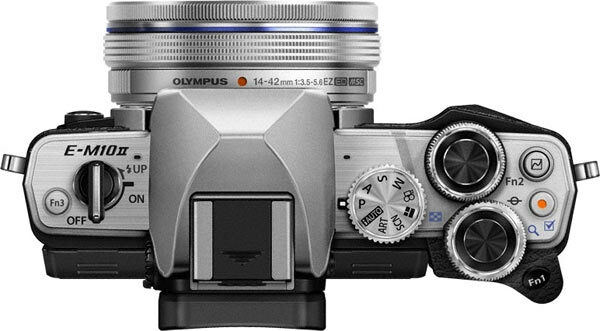 Non seulement la configuration du boîtier intègre le style classique des appareils Olympus OM-D, mais les élégantes molettes en métal machiné ainsi que les textures de cuir de la poignée donnent une sensation de raffinement. L’emplacement prominent pour le pouce permet une prise stable et fiable d’une seule main. La disposition des molettes et des touches a été repensée afin de permettre aux utilisateurs de commander facilement l’appareil tout en regardant leur sujet dans le viseur. 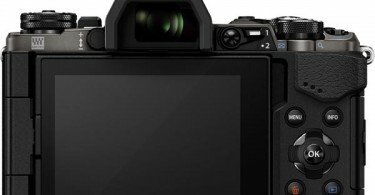 L’Olympus OM-D E-M10 Mark II se révèle extrêmement rapide avec l’un des meilleurs temps de réponse de l’industrie, courtoisie de son Autofocus Tactile1. Avec sa cadence en rafale de 8,5 images/s — plus de deux fois plus rapide que les reflex comparables — son court délai entre les poses, sa grande réactivité et sa rapidité de mise en train, l’utilisateur peut facilement capturer l’action en fractions de seconde. Armé d’un Viseur Électronique (VE) intégré, l’E-M10 Mark II facilite la prise de vue au soleil et en d’autres situations où la lecture de l’écran pourrait être difficile. Avec sa couverture du champ de vision à 100%, l’utilisateur voit bien la scène pour une composition précise. Le VE affiche aussi un taux de grossissement de 1,23x (équivalant à 0,62x en 35 mm) et utilise un écran OLED haute définition de 2,36 millions de points pour une vue claire et détaillée. Pour plus de précision lors de la prise de vue, le nouveau Pavé cible AF permet de garder un œil dans le viseur tout en promenant son pouce sur l’écran arrière pour déplacer la zone de mise au point. 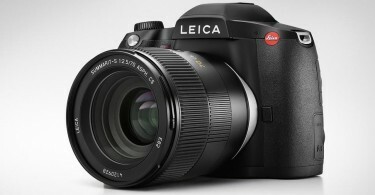 L’E-M10 Mark II offre aussi une solution aux photographes plus habitués aux viseurs optiques avec le Simili Viseur Optique (S-VO) qui affiche une plage dynamique plus élevée et plus près de ce qui est visible à l’œil nu. 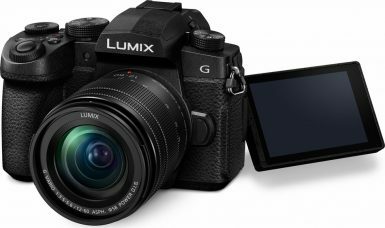 L’OM-D E-M10 Mark II offre tous les avantages de la vidéo pleine HD 1080p, d’une interface tactile intuitive, d’une cadence d’images variable et d’une nouvelle fonction CLIPS qui permet d’enregistrer de très courts clips vidéo de une, deux, quatre ou huit secondes. Ces clips peuvent ensuite être regroupés en un dans l’appareil puis téléchargés directement sur votre réseau favori à l’aide de l’app Olympus OI.Share. 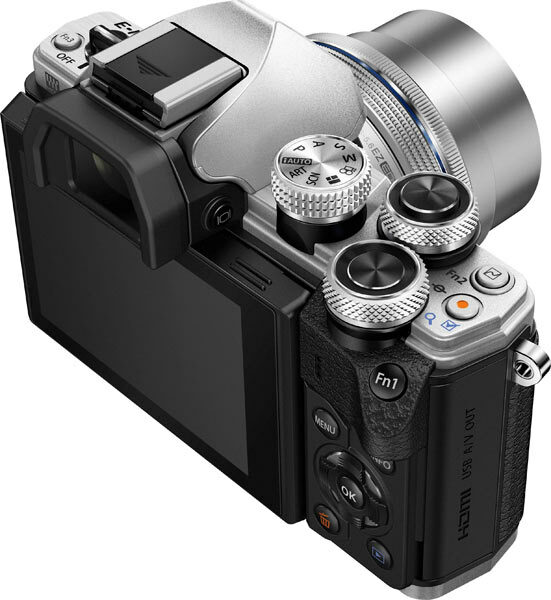 L’Olympus E-M10 Mark II est livré avec son lot de modes de prise de vue additionnels pour débrider votre créativité. Filtres Art: Sélectionnez l’un des 14 Filtres Art disponibles qui correspond à votre vision créative. Les filtres Art peuvent être combinés aux Effets artistiques pour aller encore plus loin dans la création de photos et de vidéos. Photo Story: Avec son choix de cinq modèles, Photo Story permet de combiner de plusieurs images en une seule pour illustrer l’histoire d’un moment dans le temps. 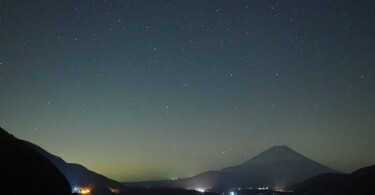 Live Composite: Sélectionnez le mode Live Composite pour extraire et rassembler les zones les plus lumineuses de plusieurs images prises en rafale pour de brillants affichages lumineux. Avec la toute nouvelle version de l’app. OI.Share pour Android et Apple®, il est possible d’apporter des changements de réglages et de contrôler le progrès de l’image qui se développe sur votre téléphone intelligent ou tablette. Live Bulb et Live Time: Capturez facilement des traces de lumière avec une longue exposition dans les modes Live Bulb et Live Time pour de spectaculaires images de ‘peinture à la lumière’. 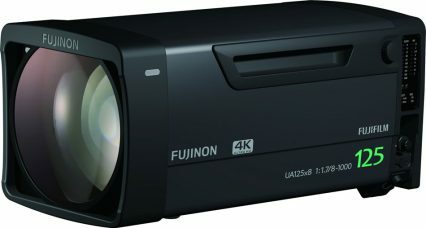 Vidéo 4K en accéléré: Capturez jusqu’à 999 images automatiquement à un intervalle d’une image toutes les 5 secondes. Puis, laissez l’appareil les combiner en un fichier 4K haute résolution pour lecture en accéléré sans recourir à un autre logiciel. Bracketing Focus: En appuyant une seule fois sur le déclencheur, plusieurs images sont prises avec une zone de netteté (profondeur de champ) légèrement différente. Utile en macrophotographie où l’utilisateur peut choisir l’image avec la mise au point qu’il préfère. À l’aide d’un logiciel de traitement de l’image qui offre la fonction de surimpression, il est possible d’obtenir une image avec une très grande profondeur de champ même si les images ont été prises à grande ouverture. Correction Keystone: La distorsion de perspective peut être corrigée directement dans l’appareil pendant la prise de vue avec la possibilité de voir les ajustements en direct. 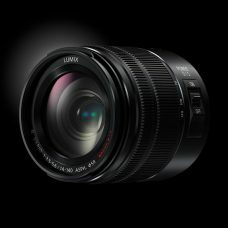 Poignée accessoire – ECG-3: Une poignée amovible exclusivement pour l’E-M10 Mark II est offerte pour rehausser la prise en main et le confort. Un levier unique au bas de la poignée permet de facilement changer la pile et la carte-mémoire sans perdre de temps. Courroie en cuir véritable – CSS-S119L: Ajoutant une touche de prestance et de protection, une courroie en cuir véritable avec traitement hydrofuge est incluse. 1 Selon les recherches d’Olympus, Août 2015. 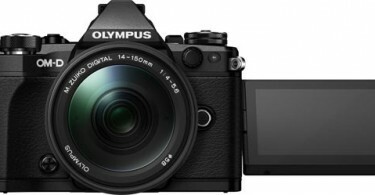 L’Olympus OM-D E-M10 Mark II sera disponible au début de septembre dans les configurations suivantes. 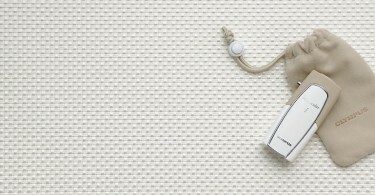 La poignée accessoire ECG-3 et la courroie en cuir véritable CSS-S119L seront aussi disponibles au début de septembre. Pour en savoir plus au sujet de l’Olympus OM-D E-M10 Mark II, et pour la fiche technique complète, visitez le site web Olympus à getolympus.com/us/en/digitalcameras/omd/e-m10-mark-ii.html. 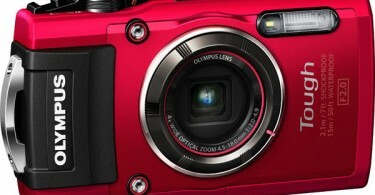 ou visitez le site Olympus: http://asset.olympusamerica.com/login/. À PROPOS D’OLYMPUS AMERICA INC.
Olympus America Inc. est un fournisseur de premier choix de solutions d’imagerie numérique et de technologie audio, reconnu pour ses optiques de précision et ses avancées technologiques révolutionnaires. 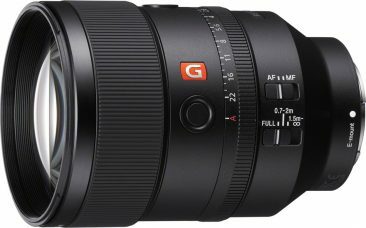 Pour en savoir plus sur Olympus et ses produits maintes fois primés, visitez getolympus.com ou joignez-vous à nous et aux autres fans comme vous via nos groupes sociaux et photographiques: @getolympus sur Facebook, Twitter, YouTube, Pinterest, Instagram et Flickr, ainsi que PENReady.com. Fiche technique et design sont sujets à changement sans préavis ni obligation de la part du fabricant. Toutes les marques enregistrées et de commerce indiquées ici appartiennent à leur propriétaire respectif aux États-Unis et/ou dans d’autres pays.